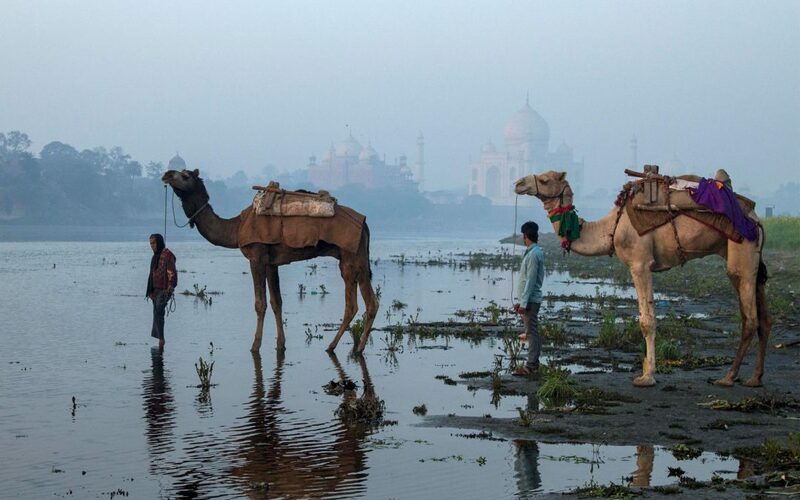 The majesty of the Taj Mahal contrasts the more rural banks of the River Yamuna, where these handlers have led their camels. The Yamuna is the second largest—but longest—tributary of the mighty Ganges River. The confluence of the Yamuna and Ganges is considered a sacred location despite the polluted waters.